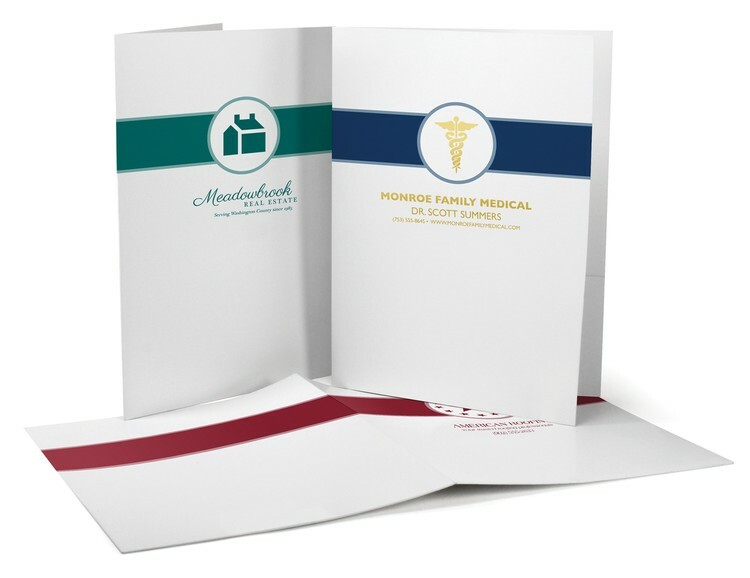 9" x 12" Pocket Folders with handsome stock designs and free clipart printed on 12 pt. 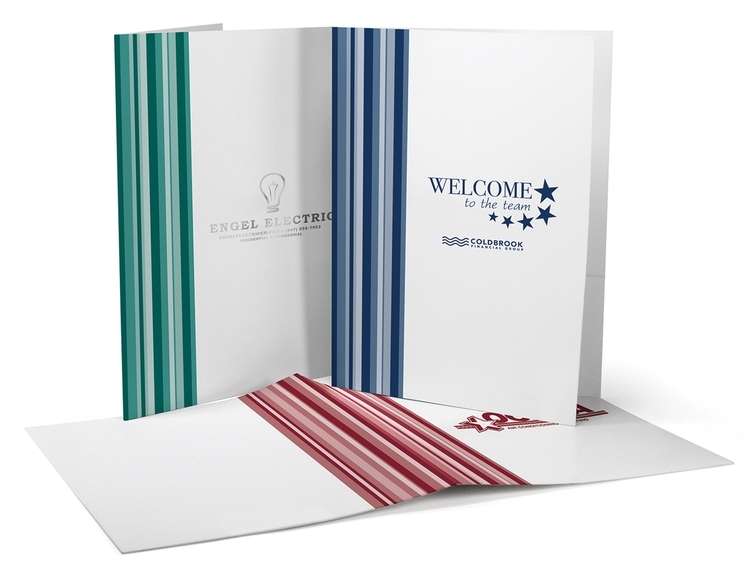 coated white stock with your choice of "Striped" or "Banded" designs. 4" inside pockets and business card slits on right inside pocket. COLORS: White with Blue, Burgundy or Teal stock designs. IMPRINT: One color foil-stamped imprint in 5" x 6" or or up to a 30 sq. inch area centered on the front cover in Gold, Silver or matching design color.